'The band you know. The story you don't'. So reads the tagline to Ron Howard's engrossing documentary about the evergreen icons of music but, while it's true that there can't be many people unaware of the Fab Four, the film holds nothing new or revelatory, particularly for existing fans. Yet, with its abundance of archive video and still footage, together with a host of new interviews, it's an undeniably glorious watch. Concentrating on the early life of The Beatles and their meteoric rise to global fame – fuelled by a gruelling international touring schedule which took in around 250 concerts between 1963 and 1966 – Howard has expertly mined the extensive annals of Beatles history to present a cohesive look at the band's formative years. Where the documentary really comes into its own, however, is in new interviews with surviving band members Paul McCartney and Ringo Starr – who speak with retrospective frankness about the highs and lows of such extreme fame – and those who witnessed the phenomenon first hand. 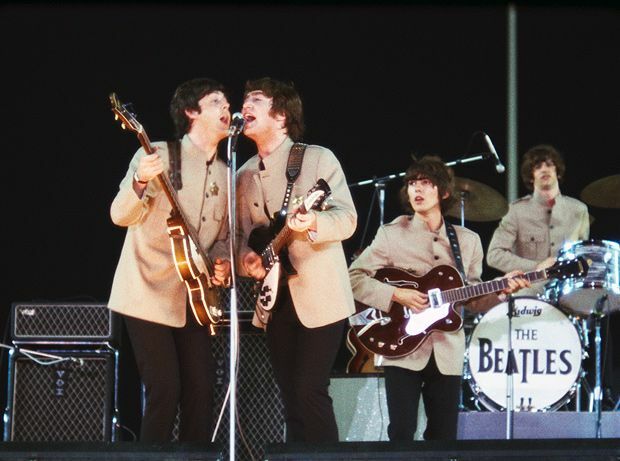 As such luminaries as Sigourney Weaver (seen, in a brief, shining moment, as a teenager at an American gig), Whoopi Goldberg and Richard Curtis explain just what The Beatles means to them – inclusion, freedom, energy, anarchy and sheer, unadulterated joy – their heartfelt sentiments will resonate with any fan, old or new. Putting The Beatles in such historical and popular context is nothing new, their contribution to music and culture having been widely discussed, debated and poured over in myriad printed and on-screen works. Still, Eight Days A Week effectively captures both the infectious energy of four hugely entertaining young men, and the evolution of a creative genius that continues to endure. Wide release from Fri 15 Sept.